MainAll NewsInside IsraelIs this Yair Netanyahu's new career? Is this Yair Netanyahu's new career? Report says that Prime Minister Netanyahu's son Yair offering travel companies to give lectures on the Middle East. Is Prime Minister Netanyahu's son Yair becoming a tour guide? According to a report in The Marker, Yair has approached several tour guide companies offering to give lectures on the Middle East to tourists. The report added that the travel companies were confused by the offer as Netanyahu has no experience in geopolitical affairs, with one travel company manager asking "what prepares him for lectures on the Middle East?" If the report is accurate, it would be Netanyahu's first job. The 27-year-old has been causing controversy for still living with his parents and for keeping a security detail, which detractors say is a waste of taxpayer money. Yair's younger brother Avner works as a waiter in a Jerusalem cafe. 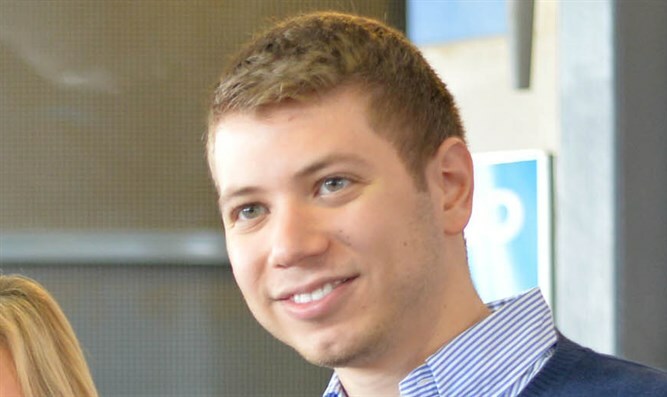 Unlike Avner, who is seen as publicity shy, Yair Netanyahu's name has repeatedly turned up in the headlines over the past year as rumors swirl that he will follow his father into politics. In January, Channel 2 documented the prime minister's son making disparaging comments about women after a wild night of debauchery in 2015 together with the son of gas billionaire Kobi Maimon. Netanyahu, who is clearly drunk in the recording, can be heard dismissing his friend's demands that he repay them for the money they spent on alcohol and other activities. Netanyahu brushes them off and opines that he shouldn't have to repay the son of Kobi Maimon due to the financial windfall his father received through Prime Minister Netanyahu's policies on the Leviathan gas fields near Haifa. "You’re crying over 400 shekels ($117)? My father arranged 20 billion dollars for your father and you’re crying over 400 shekels ($117)?" Yair Netanyahu asks rhetorically. "Bro, you have to be nice to me. Bro, my dad got your dad a sweet deal, he fought for it at the Knesset, bro." The Prime Minister's son also sparked a storm in September when he posted a meme on his Facebook bashing an assortment of leftists that critics said was full of anti-Semitic overtones. The meme, titled 'Food Chain', showed Jewish anti-Israel billionaire George Soros controlling a hook-nosed Jewish figure with his money, who is seen controlling fervent Netanyahu critic Eldad Yaniv, former Netanyahu residence caretaker Meni Naftali, and former Prime Minister Ehud Barak. The post caused a furor, especially after former KKK leader David Duke tweeted his support of the meme. Opposition leader MK Isaac Herzog (Zionist Union) called for Netanyahu to apologize, and wrote on Twitter that he should be ashamed of himself for earning positive feedback from anti-Semites. “Every Jew should feel a sense of horror and disgrace that a cartoon [in the] Der Sturmer style came out of the residence of the prime minister of Israel and receives an embrace from [the] great anti-Semite,” Herzog wrote.